Description: CENET invites program participants, host employers, and community members in the Branson area to join our J Day celebration at Moonshine Beach! Branson J Day will include: food, a free J Day t-shirt (to first 100 participants), beach games & prizes, photo booth, and swimming (don't forget your swimwear and a towel!). Transportation is available; participants may reserve transportation when they register on the eventbrite page (coming soon). A canned food drive will benefit a local charity; all attendees are asked to bring a canned food item if possible. A select group of participants will also serve as J-Day Ambassadors; these ambassadors will provide a cultural presentation at the Hollister YMCA children's camp on the morning of August 6. Description: Join other Exchange Visitor participants to harvest and learn more about urban gardening. Please wear long, light pants and closed-toed shoes. You should also bring a full water bottle, sunscreen, and a hat - as you will be working outside for a few hours. After volunteering, join us for a free pizza lunch! Only 40 people can attend, so RSVP today! Click here to RSVP. Description: Participants are invited to join for a day of games, pool fun, and food. Donations of canned food items for the DMARC will be collected. Description: We will have Host Families and Au Pairs together for a picnic/BBQ and will have fun games for the kids. We are encouraging people to donate SHOES and/or NEW SOCKS. We'll collect them at the picnic or in a drop box on my porch. Description: Au Pairs and Host Families gather for a shoe (& new sock) drive. Au Pairs will share facts and customs about their home country and spread the word about the value of cultural exchange. Includes a picnic and outdoor summer fun. 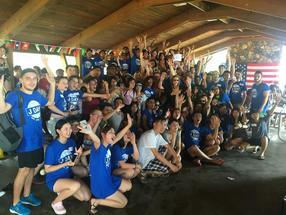 Description: We are having a barbecue and collect shoes for children in the village of Rancho Grande in El Salvador. 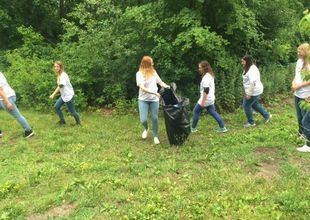 Description: There will be a large community service event taking place at Great Turtle Park on Mackinac Island on Monday, August 6th. The Grand Hotel along with Odyssey International Exchange will be participating in an annual community service event called J-Day (https://jday2018.weebly.com/) which is a celebration of cultural exchange and community taking place at various events across the country. The event will have many of the exchange visitors who are completing internships at the Grand Hotel come out and spend the morning cleaning up Great Turtle Park by picking up trash, revamping the volleyball courts and clearing debris to keep the park beautiful and usable for the community. After we will be sharing lunch with the volunteers as well as many local community members, including the mayor of Mackinac Island. We believe this will be an excellent opportunity to highlight some of the exchange visitors who call Mackinac Island home every summer and to demonstrate some of the positive contributions they make to the island. Description: For J Day, we will tour downtown Oklahoma City's bricktown canal. Description: Spirit invites participants, employers, and community members in the Okoboji area to join our J Day celebration at Central Park! There will be a BBQ picnic, a free J Day t-shirt, field games & prizes, and the annual water balloon fight. A canned food drive will benefit the Dickinson County Outreach Food Bank; all attendees are asked to bring 2 canned food items or $5. Description: J1 participants, city officials, and host company representatives will join to give back to our community by painting fire hydrants. We will then have a delicious lunch while checking out the police and fire emergency vehicles. This will be followed by a game of kickball! 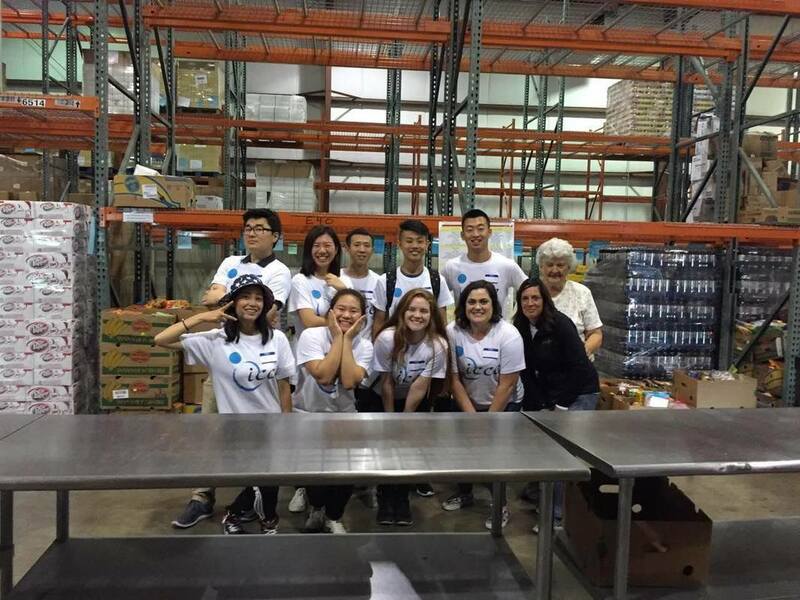 Description: Participants are invited to volunteer to help package meals for hungry youth around the world at Feed my Starving Children. Followed by a pizza party with games. Description: J1 students are invited to attend J Day from 5-8pm! Exchange visitors should bring an item to donate to the local elementary schools. We'll have pizza, cookies, drinks, and a water balloon fight!